The Army Cadet Force Assoication is proud to have been announced as the chosen charity for Exercise Ice Maiden - an all-female expedition to Antarctica - at a special launch event in London on Monday 20th March. The Exercise will see British Army women take on the challenge of becoming the first female-only military team to ski coast-to-coast across Antarctica. Together they will cover a distance of 1700km and face temperatures of -40C and wind speeds of over 60mph to complete the journey in October 2017. The team aims to encourage women and girls of all ages to take up a challenge and get active, as well as to promote leadership and teamwork to young people across the UK. 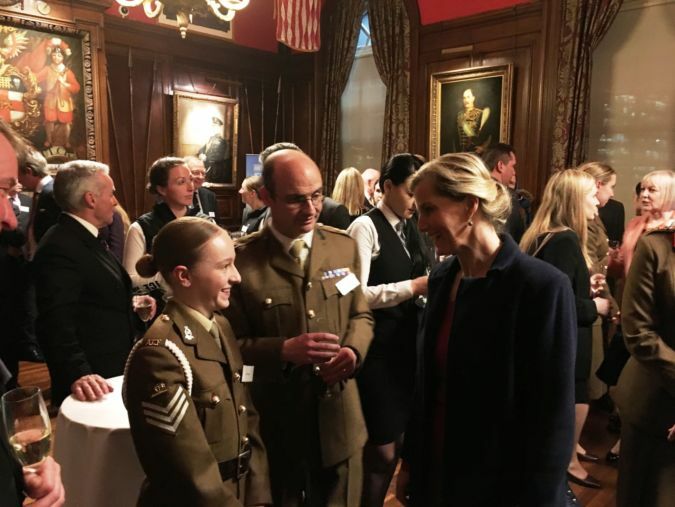 The launch event was attended by HRH The Countess of Wessex, the Royal Patron of Exercise Ice Maiden, who met with Cdt Sgt Lauren Abbot from City of London and North East Sector ACF, who had recently been appointed Lord-Lieutenant of London's Cadet. For more information about the expedition visit the Exercise Ice Maiden website.